Living Area 2846 Sq. ft. Fantastic Location in the Hermosa Sand Section. This 4 bedroom & 3.5 bath two-on-a-lot town-home features approximately 2,846 sq. ft. of living space. The tri-level floor-plan features a Formal Living Room with fireplace and balcony, a bright Kitchen with breakfast counter, a Dining area with wet-bar, separate Office, and Roof-Top Deck boasting ocean views. One of the four bedroom suites is on the first level off of the garage, while the other three are located on the third level. The spacious Master Suite features a large walk-in closet and balcony. 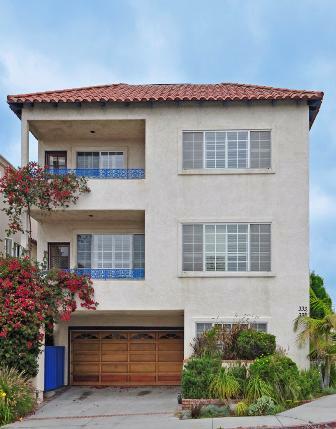 New paint, new carpet, and architectural detail throughout - this is beach city living at its best! A short walk to the beach and downtown shops & restaurants.